Los Angeles Clippers' players wore black apparel during an NBA playoff after team owner Donald Sterling reportedly made racist remarks. Los Angeles Clippers players staged a silent protest and wore black apparel during an NBA playoff game Sunday in the wake of racist remarks attributed to team owner Donald Sterling. 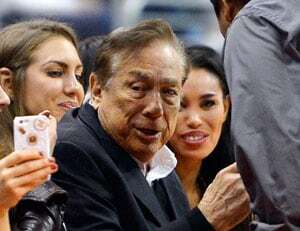 Sterling, the NBA's longest-tenured team owner after buying the Clippers in 1981, did not attend the game against Golden State Warriors, but comments allegedly made by the 80-year-old billionaire cast a long shadow over the contest. 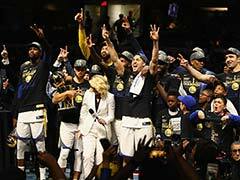 Players gathered at center court in Oakland before a pre-game warmup, removed their team warm-up shirts and left them on the floor, working out wearing shirts that were inside out and did not display the Clippers name or logo. 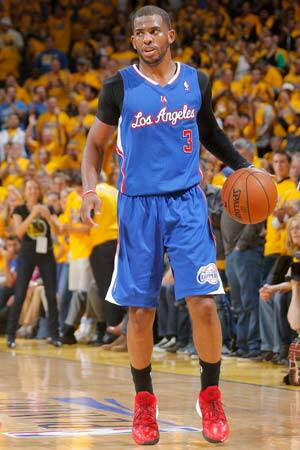 In what was the fourth game in their best-of-seven series with Golden State, the Clippers wore black socks, shirts, wristbands or armbands. "Playing is an action. 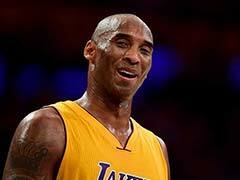 It's a stronger action," Clippers coach Glenn "Doc" Rivers said. "You perform. You don't let anyone talk you out of your job. I think this is a message of action." The host Warriors, who trail the series two games to one, jumped ahead 66-48 at half-time. But it was Sterling's alleged remarks that everyone, including US President Barack Obama, was talking about. Obama, the first African-American to be elected US president and also a well-known basketball fan, condemned them as "ignorant" and "incredibly offensive" during an appearance in Malaysia. "We just have to be clear and steady in denouncing it, teaching our children differently but also (remain) hopeful that part of why some statements like this stand out so much is because there has been a shift in how we view ourselves," Obama said. On Saturday, celebrity-watching website TMZ posted an audio recording where a man is heard criticizing his girlfriend, identified only as V. Stiviano, for posting photographs on the social media site Instagram of herself and black friends attending Clippers games. "It bothers me a lot that you want to broadcast that you are associating with black people. Do you have to?" the man, purportedly Sterling, says. "You can sleep with (black people). You can bring them in. You can do whatever you want. The little I ask is not to promote it on that... and not to bring them to my games." "In your lousy... Instagrams you don't have to have yourself walking with black people." A Clippers spokesman said the remarks do not reflect Sterling's views but an attorney for Stiviano, Mac Nehoray, told the Los Angeles Times on Sunday that it was Sterling's voice. Nehoray is representing Stiviano in a lawsuit brought by Sterling's wife Rochelle, who attended the Clippers' game Sunday and sat courtside. Game telecaster ABC reported that Mrs. Sterling could not confirm if the voice in question was that of her husband, but she said she does not condone the remarks and is not a racist. NBA commissioner Adam Silver is investigating the controversy, describing the recorded comments as "truly offensive and disturbing," and says the NBA plans to speak with Sterling and the woman on the tape with hopes of wrapping up the probe before the Clippers' host game six in their playoff series on Tuesday. Retired Los Angles Lakers star Magic Johnson, who vowed never to attend Clippers games again,told ABC that severe punishment was needed against real estate tycoon Sterling. "He shouldn't own a team anymore," Johnson said. "And he should stand up and say, 'I don't want to own a team anymore,' especially when you have African-Americans renting his apartments, coming to his games, playing for him and coaching for him. "This is bad for everybody. It's bad for America and I'm really upset about it." Another former NBA great, Charlotte Bobcats owner Michael Jordan, said: "As an owner, I'm obviously disgusted that a fellow team owner could hold such sickening and offensive views. "As a former player, I'm completely outraged." 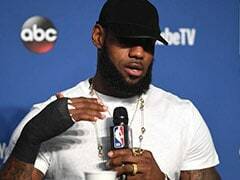 NAACP chief executive Lorraine Miller, whose group is an African-American civil rights organization, also weighed in, saying: "The remarks attributed to Mr. Sterling are outrageous and remind us that racism is alive and well at every socioeconomic level." And the National Basketball Retired Players Association called the remarks "deeply troubling." Sterling is no stranger to race-related controversy. In 2009, he paid a $2.73 million settlement to the Justice Department following a race-based rental discrimination case. Four years earlier he paid an undisclosed amount of money in a suit alleging he tried to force non-Koreans out of apartments he owned in Los Angeles' Koreatown neighborhood. Stiviano is in her 20s and has been seen often at Sterling's side, according to the Times, which also reported that Sterling's wife claims Stiviano was given money and expensive cars by her husband.